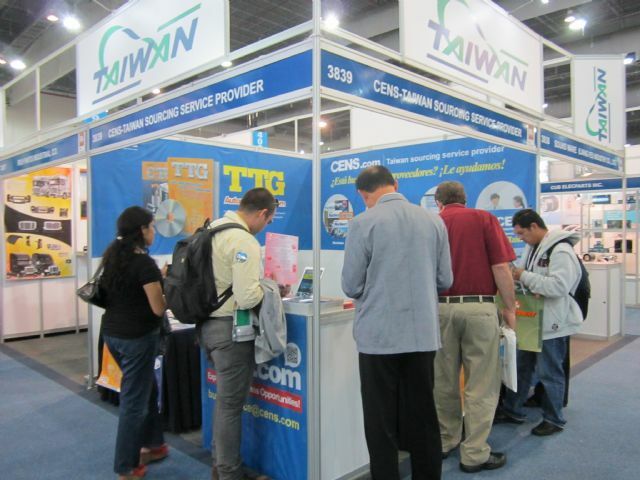 Continuing to promote buyer guides that help Taiwanese manufacturers, exporters and traders explore markets overseas, CENS attended three global trade shows in July, including EASTPO-Shanghai International Machine Tool Fair, PAACE Automechanika Mexico, and EMMA Fair Myanmar. EASTPO-Shanghai International Machine Tool Fair is a one-stop platform for leading manufacturers seeking to penetrate the dynamic marketplace in Asia. 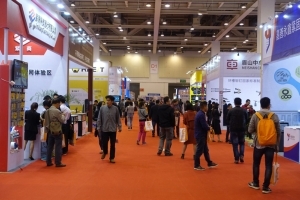 The fair this year jointly took place with EMTE for the first time, running July 14-17 at Shanghai New International Expo Center in Shanghai, China. Some 650 international exhibitors from 24 countries showcased their latest machinery & related equipment, with the four-day fair drawing some 47,754 visitors from 54 nations. 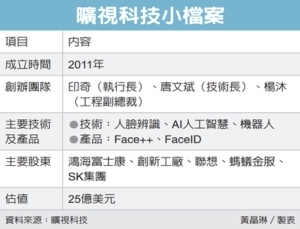 Local visitors made up the majority of the participants with the biggest groups coming from provinces and cities in southeastern China, namely Anhui, Jiangsu, Shanghai and Zhejiang, with buyers from India, Japan, South Korea and Southeast Asia making up the majority of international visitors. 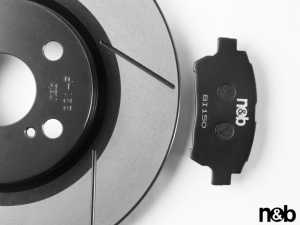 EMTE-EASTPO is a strategic east-west partnership of two established machine tool show owners from Europe and China, namely ECIMO—the European Association of the Machine Tool Industries and Shanghai EASTPO Culture Development Co., Ltd. 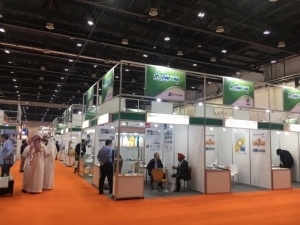 The first joint fair featured eight national pavilions and groups from the Czech Republic, France, Germany, Italy, S. Korea, Spain, Switzerland and Taiwan. The fair brought together some of the world's leading machine tool manufacturers eyeing the vast market opportunities in China. CENS representative (right) helps a buyer fill out CENS inquiry at EMTE-ESTPO. Tornos Technologies (Shanghai) and WhizCut of Sweden AB were also delighted with the quality of visitorship. “The visitor turnout exceeded our expectations. 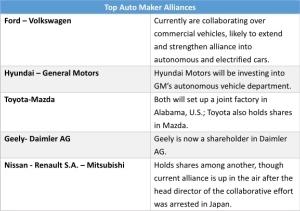 We had over 150 quality business leads from a number of sectors—automotive, aerospace, electronics and electrical, healthcare and watch-making. 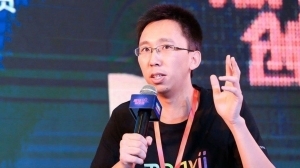 We transacted on-the-spot sales and will continue a number of negotiations with potential buyers,” says Sun Weimin, general manager (Greater China) of Tornors Technologies (Shanghai). 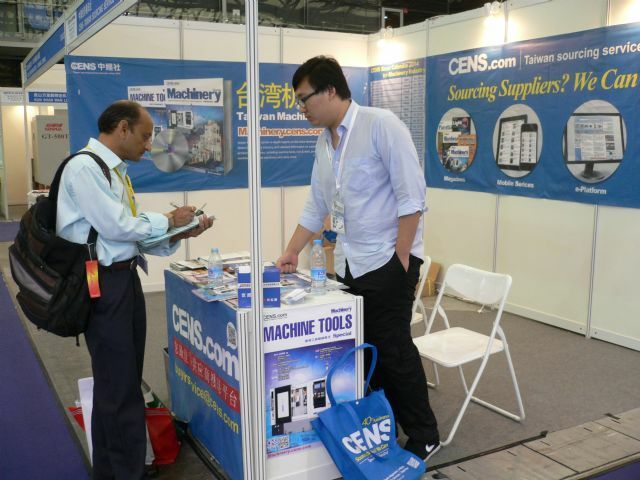 CENS booth displayed a variety of buyer guides with Taiwan Machinery being most popular. 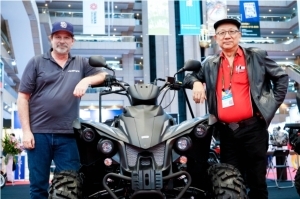 PAACE Automechanika Mexico is considered the most important international trade show for the automotive aftermarket in Latin America and the ultimate platform for sourcing locally-made and foreign products. 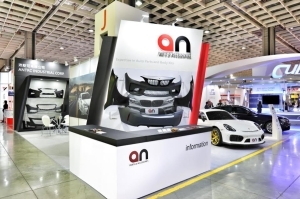 PAACE Automechanika Mexico 2014, held July 16-18 in Mexico City, Mexico, entered its 16th edition and attracted more than 500 exhibitors worldwide and over 20,000 key decision makers including wholesalers, distributors, retailers and manufacturers specializing in the automotive aftermarket. CENS booth draws many visitors at PAACE Automechanika Mexico. Besides products, the show offered valuable education and training, unmatched business solutions, exciting networking events and more. 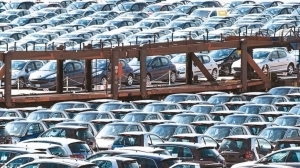 Buyers fill out CENS inquiries at PAACE Automechanika Mexico. 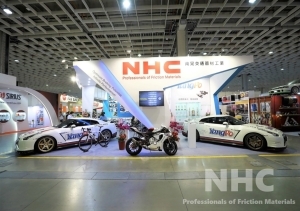 CENS sent a circulation specialist to promote buyer guides, with Taiwan Transportation Equipment Guide (TTG) and China Transportation Equipment Guide (CTG) catching ample attention among buyers and visitors. 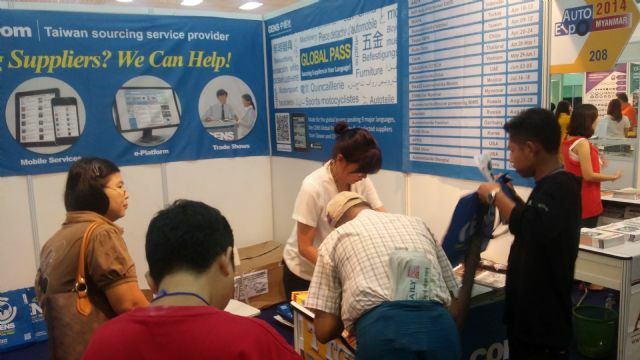 EMMA Fair Myanmar 2014, held July 18-21 at TATMADAW Exhibition Hall, Yangon, Myanmar, chalked up many records in numbers of visitors, exhibitors, products and businesses. More than 8,100 visitors braved the persistent monsoon for an 18.5% growth over last year. Buyers representing every part of Asia came mainly from Myanmar, Thailand, Malaysia, Singapore, the Philippines, South Korea, Japan and Taiwan. The on-site and follow-up businesses are estimated to exceed US$25 million for a projected annual growth of 10%. CENS booth draws many visitors at EMMA Fair Myanmar. 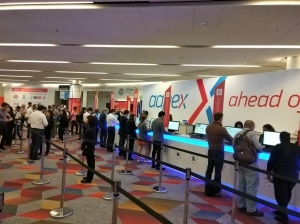 Overseas exhibitors came mainly from seven nations, namely Taiwan, the U.S., U.K., Vietnam, the Philippines, China and Malaysia, who showcased 2,500 products across 150 booths. Many of the world's leading companies present included Sonar Auto Parts Co. (auto lighting), Eagle Eyes Traffic Industrial Co. (auto lamps, aftermarket performance lamps), Hulane Associate Inc. (automotive connectors and terminals), Cyclo Industries, Inc., USA (lubricants, car care products and service chemicals), ELIG Brake Industrial Co. (brake pads, shoes and clutches) and HWA Fong Rubber Ind. Co. (bicycle and motorcycle tires) and many more. 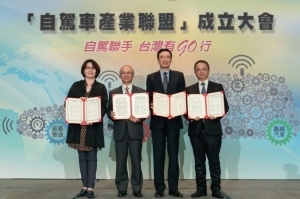 Specially flown in were 100-plus award-winning products to embellish the Taiwan Excellence Pavilion, which included China Motor, Depo Auto Parts, Kenda Rubber, Motive Power and Aeon Motor. CENS representative (right) with a buyer at EMMA Fair Myanmar.